Did you know that the very first war ever fought is recorded to have taken place in the unlikeliest place? The Bible tells us that “there was war in heaven: Michael and his angels fought against the dragon; and the dragon fought and his angels, and prevailed not; neither was their place found any more in heaven.” Revelation 12:7-8. How did this war begin and what was it over? The answer to these questions reveals the reason behind the unrest plaguing planet earth, as well as the human heart. 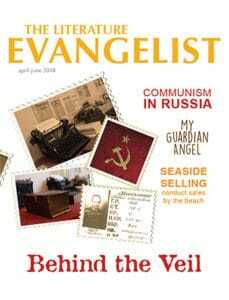 The prophet Ezekiel gives us insight into this first war and Satan’s rebellion against God. Lucifer, described as “the anointed cherub that covers”, was “perfect” when he was created until “iniquity was found” in him. Ezekiel 28:14-15. This position of covering cherub (or angel) reveals much about Lucifer’s rebellion. In the Old Testament, God had given Israel a miniature model of His throne room in Heaven called the sanctuary. (See Exodus 25:8) Paul writes that this sanctuary was a pattern or blueprint of “heavenly things”. Hebrews 8:5. Inside was a special room called the most holy place which contained the Ark of the Covenant holding the Ten Commandments. On top of this ark was a “mercy seat” and on either side of the mercy seat was a “cherub” “covering the mercy seat” and “covering the ark”. See Exodus 25:16-22; 1 Kings 8:7. This shows that God’s throne is a seat of mercy and the foundation of it, and His kingdom is His law. Lucifer, who was once a “covering cherub”, was responsible to uphold and protect or “cover” this law. However, rebellion began because “iniquity” or sin was found in Lucifer. And what is sin? “Sin is the transgression of the law.” I John 3:4. Lucifer, who was supposed to defend the law of God, the very foundation of the government of heaven, rebelled against it. 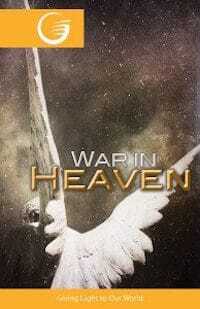 As a result, there was war in heaven. But what was Lucifer’s argument against the law? Notice another powerful insight into this controversy given by the prophet Isaiah. “How art thou fallen from heaven, O Lucifer, son of the morning…thou hast said in thine heart, I will ascend into heaven, I will exalt my throne above the stars of God…I will be like the most High.” Isaiah 14:12-14. Lucifer posed an argument that he could be “like God”, that is, in righteousness, without a need to obey God’s law. He thought he could determined himself what was right and what was wrong. In other words, Lucifer’s rebellion was one based upon self-righteousness. He was arguing that the law was restrictive and that free intelligent angels needed no such rule. This argument deceived a great number of angels. These angels and Lucifer were cast out of Heaven, along with their anti-law sentiments. With this insight we can better understand why earth and the human heart so often experience unrest. Satan today is a hater of the law of God, which is the foundation of God’s government. God is seeking subjects for His kingdom, but they must be willing to abide by the laws of Heaven. The same is true for any government. When Satan approached Adam and Eve in the garden, he tempted them with the same deception. You can be “like gods” without obeying him. Genesis 3:1-4. The same deception that led to the fall of angels in heaven, led to the fall of Adam and Eve in the garden. And just as angels were cast out of heaven, so Adam and Eve were removed from the Garden of Eden. “So he drove out the man; and he placed at the east of the garden of Eden Cherubim, and a flaming sword which turned every way to keep the way of the tree of life.” Genesis 3:23-24. Adam and Eve had their minds perverted by Satan. They now had a “carnal mind”, of which Paul writes, “is death;.. Because the carnal mind is enmity against God: for it is not subject to the law of God.” Romans 8:7-8. But God would not leave man to perish. He would send His Son into the world. Man would have a second chance. In order to enter the kingdom of heaven, man must once again be subject to its laws. So Paul writes, “Whereof the Holy Ghost also is a witness to us: for after that he had said before, This is the covenant that I will make with them after those days, saith the Lord, I will put my laws into their hearts, and in their minds will I write them; And their sins and iniquities will I remember no more.” Hebrews 10:15-17. All unrest on earth and in the human heart is a result of buying into Satan’s lie that man need not obey the law of God or that he can be righteous without God’s influence. Satan has gone as far as to push this lie under an appearance of righteousness; this is shown through professed Christians teaching that the law of God is obsolete, that grace somehow cancels the need to obey God’s commandments. John warns against this deception of self-righteousness when he writes “And hereby we do know that we know him, if we keep His commandments. He that saith, I know him, and keepeth not His commandments, is a liar, and the truth is not in him.” 1 John 2:3-4. Satan is angry with those who do not fall for this deception. He goes “to make war with the remnant of her seed, which keep the commandments of God, and have the testimony of Jesus Christ.” Revelation 12:17. The Bible reveals how Satan will work to deceive people concerning the law of God. The prophet Daniel records Satan’s attempt to “change…laws”. Daniel 7:25. Why? Because Satan knows that to disregard one commandment is to be guilty of breaking them all. James 2:10-12. Indeed Satan has cunningly changed one of the Ten Commandments and few people seem to realize it. He has done this right from within the church. We encourage you to prayerfully read the Ten Commandments as recorded in Exodus 20 and try to discover which commandment has been replaced by the traditions of men. If Satan can lead Christians to disregard any of God’s Commandments, he is in effect leading them to adhere to his own anti-law sentiments. In the end there will be a people who withstand the devil’s deceptions and prove themselves loyalists to the kingdom of Heaven. They will not deviate from God’s law. The first war ever fought was over the law of God. The last war on earth will be over the same. John writes of this victorious group. “Blessed are they that do His Commandments, that they may have right to the tree of life, and may enter in through the gates into the city.” Revelation 22:14. May you be a part of that winning number.